We're most likely getting a general direct next week yeah, but I doubt we'd see anything pokemon related in it. That being said, the X/Y and S/M real directs happened within 1-2 weeks of general directs. Two weeks after the general direct is pokemon day which many are speculating will be the reveal date anyways, so here's hoping. There's no Pokémon Stars. Move on people. No kidding! I'd love an elephant starter. So many other possibilities. I want something like this. Make the wool ignite in flames and it's perfect. It's gonna be hard to top Sniper Owl. We aren't gonna get Pokemon for a while, even if it feels like forever. I feel like the 27th is too close to the general direct for it to happen, then again Jqnuary 2013 had both in the same month. As long I can keep my tradition of always using the grass starter on the first run, I'm fine with something 'good'. Chespin and his line almost made me use Froakie. 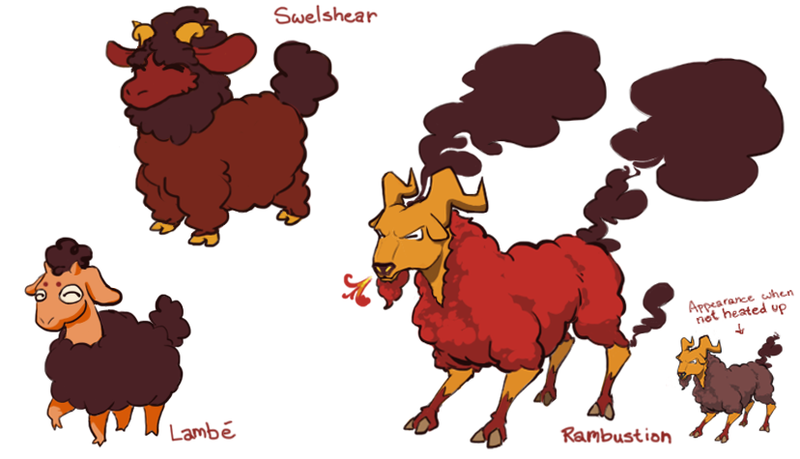 If we are talking sheep starters, I'm saddened that Flairees will never be an official pokémon. Man, like... give me a dolphin Pokemon. Don't you dare @ me with Lanturn. Grass starters are underappreciated yet they are the most consistently awesome line (until Chestnaught fucked it up). But unrealistic because it's not bipedal. I can keep hoping that GF decides that a quadruped fire starter is worth something. Pokemon starters are generally a bit more interesting than just elemental animal and have very strong shape design (i dont see a single interesting shape in those). If they ended up being something like that fan mon id be be pretty disappointed. This on the other hand looks pretty cool. Whys it so angry though? I just couldn't use Quilladin in my game until he evolved, I was very tempted to get that Bulbasaur. I was totally ready to drop my tradition but Rowlet saved the day. I got a little greedy with my punsmanship with Swelshear (swell, swelter, sweater, welsh, shear, sear). What kind of graphical updates are y'all hoping/thinking we'll see with the first new home console game? A four-legged final evolution for the fire starter would certainly be the BOTW-sized revolution we've been hearing about. My problem with this is that it's not "interesting" enoough. Just kinda feels boring. Tho i guess it's more Gen 1ish. oh you made it? im sorry if that sounded critical, its still well drawn I just didnt personally feel the Pokemon starter vibe. No worries. Pokemon (starters especially) are really refined in order to be simple and appealing. Yeah, go Fire Steel Sheep! Aaaaand once again, I'm sad this will never be an actual Pokemon. Miss you, Platy the Platypus. If we're getting a UK based region, what will the Pokemon food be based off of? If they're not jaffa cakes, I'll be mad. You'll get your MooMoo Milk and you'll like it! 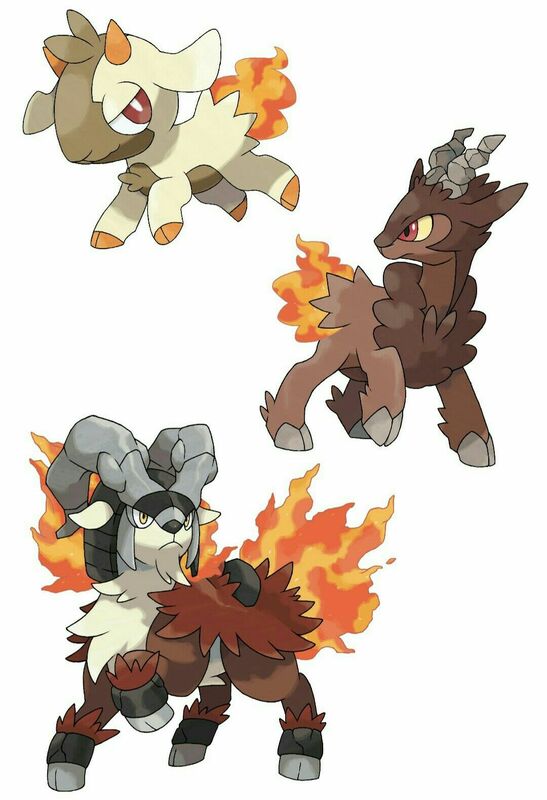 If they do a sheep I'd like it to be Fire/Steel, based on steel wool. Yeah, Flairees is damn perfection. It's one of the very few fakemon I wish was real. I am not quite sure on the Water Starter - i could see it maybe being based on a Water Vole which is a common Pokemon in the UK but outside that i have no ideas. Scale and detail along the lines of the Xenoblade games. Custard creams or we riot. You could have a Fire starter based on the Welsh dragon. That would be cool but if we go by the Zodiac theory, Dragon is used up. But that could be cool. Having the starters being based on Legends from Scotland,Ireland and Wales. Koalas aren't from Hawaii either, but here we are. I just want big towns and cities, free camera and more exploration. Agree with you. Something like Gerudo Town in BOTW would be nice. And free camera is very important for me. Again with the Zodiac Theory, we've already had a Dog (Fennekin), Zodiac (Along with the associated pokemon) are as follows. Of course, nothing stopping the grass or water starter possibly being a dog. Snivy line back in Gen 5 was a Snake after all.